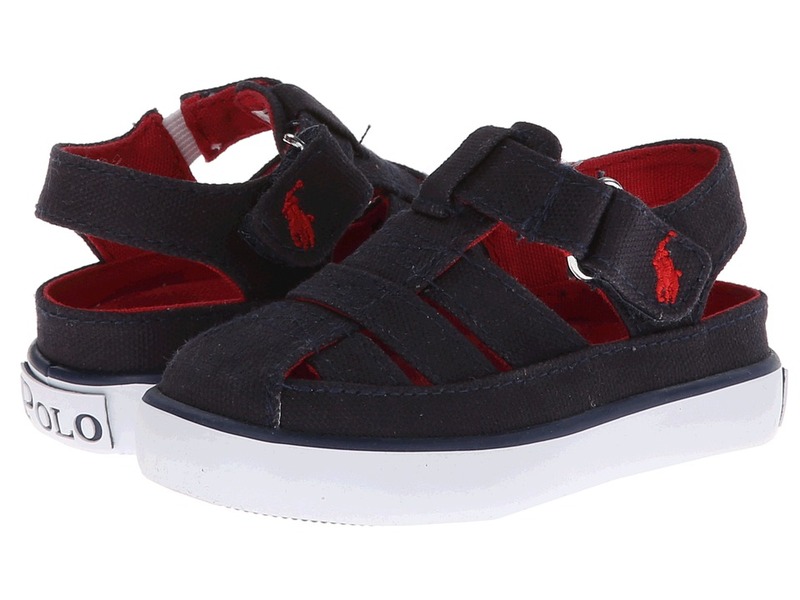 These fisherman sandals are the perfect addition to his handsome summertime attire. Leather upper with a classic pony logo decorating the side. Hook-and-loop closure for quick and easy on and off. Textile lining and a cushioned man-made footbed. Vulcanized rubber outsole with a branded logo at the heel. Durable rubber outsole. Imported. Measurements: Weight: 4 oz Product measurements were taken using size 4 Toddler, width M. Please note that measurements may vary by size. Weight of footwear is based on a single item, not a pair.